Inflammation in the body is a normal and healthy defense against injury or germs. It is experienced as redness, swelling, heat and pain designed to stimulate immune activity for healing. 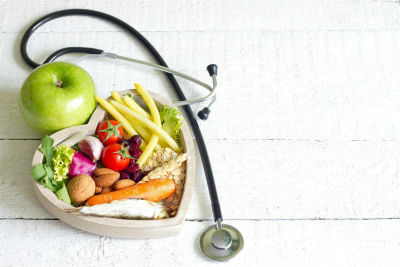 But inflammation isn’t always helpful, and can occur continuously as a low-level, almost imperceptible state which can cause destruction and lead to many chronic conditions, especially as we get older. Heal your Gut: Taking probiotics (good bacteria that fights infection) reduces the effects of inflammation while strengthening your gut, which is one of the most important centers for your immune system. Eat at least one serving of probiotics every day which can include yogurt, fermented vegetables (like sauerkraut, pickles, kimchi) and kombucha. You can also take a probiotic supplement. To pick a good probiotic supplement, be sure read labels. It needs to contain live strains of the bacteria, and the life of these strains should be guaranteed at the time of use. You also want to find the option with the highest number of bacteria strains and the number of colony-forming units. Be Social: Believe it or not, laughing and enjoying time with friends and family has been proven as an anti-inflammatory by researchers from the University of North Carolina, at Chapel Hill. Take time to be social and enjoy meaningful conversations at least once every day. Stretch and Exercise: Movements in yoga and the stretching that comes from walking help ease inflammation. Much of this may be attributed to the reduction in stress combined with extending muscles in a controlled and smooth fashion. Cardiovascular exercise is also important in the reduction of inflammation. Your blood contains a protein molecule called “cytokine.” When you exercise, your adipose and muscle tissue release bursts of cytokines into your blood stream, which is likely the cause of the inflammation drop. Try to get at least 30 minutes of moderate exercise a day, five days a week. Any type of workout that raises your heart rate and gets you moving counts , including things like walking, dancing and even house work. 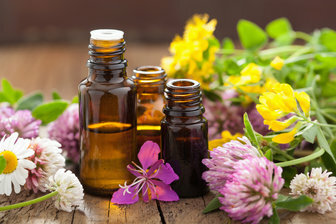 There are numerous options for purchasing essential oils, but by far they are not equal. There are some truly premium oils created by very small businesses or individuals. These are great, but these companies or individuals are not prepared to produce a mass-quantity of consistently high-quality and pure, premium oils. There are also EOs widely distributed on the market, but my issue with them is their capability to produce results as impressive as those in real, clinical trials. When tested for consistency and quality, these products are true-to-label that they are for recreational or therapeutic value. The frustration I have with their marketing is the implication seems to include reference to the medical-laboratory studies which were conducted with clinical – grade oils. Their products can produce some value of therapeutic relief, to borrow their term. However, the products cannot produce the complete value that clinical – grade products will. For me, I wanted results as great as those touted in the scientific clinical studies of the value of essential oils. This meant that I needed the same quality oils. With all of the EO options available, how does one sort through them and choose? I do not have a short answer, but I can provide some insight. Recreational use, such as for scented candles, perfumes, household products, and personal care–lotions, potions, and even potpourri. They smell decent enough, but do not have the capability to impact health for a desired positive effect. Food-grade oils, as used for food, candy, soda, toothpaste, and coffee flavoring, to name a few. You may notice differences in the cinnamon or lemon flavors of one particular brand of cooking product to another, if you bake much, or in vanilla or hazelnut flavors, for example, for coffee. so-called and self-certified oils are actually created to a company’s own standard of quality and then labeled with a certification process which is also self-created, but does not hold up scientifically. These companies know at the ownership level that their own products are not consistent in quality, or prepared for scientific scrutiny, but they truly aren’t committing themselves to be used in serious scientific laboratory studies. This standard is not their goal. This is fine. However, their sales force do read and share the true clinical value of an essential oil, then recommend a therapeutic grade oil to achieve that result. The therapeutic oil will, to a degree, even provide that–just not to the extent that it is possible to have. I am not bashing them–there is truth in their label, if you know the limits of “therapeutic value.” I have 7 brands labeled “therapeutic.” You know band-aid or butterfly dressing, or pressure dressing will be “therapeutic” to a deep knife wound. Sutures will clinically resolve the issue! A throat lozenge will ease streptococcus throat infection. Penicillin will clinically eliminate it. Finally….clinical graded essential oils. These are used for professional, medicinal, and clinical uses. When a scientist uses lavender oil to study it with the goal of producing a medicinal benefit, the lavender oil must meet standards of purity and potency to a botanical library standard, to a standard accepted worldwide by the medical/scientific research community. These tests are complicated, though I will explain it in another post. Clinical grading assures the use of the most potent varieties of lavender to produce a desired result. A scientist will not just use any lavender–he will test it and determine that what he is going to use in his laboratory will meet the scrutiny of his peers. When I apply lavender for stress reduction, I don’t want a band-aid result, I want assurance that I can “close the wound.” Make sense? By applying the scientific standard for medicinal/clinical value, essential oils can now be created and relied upon for personal use in and be trusted for consistency and purity in every bottle. By learning to use essential oils simply and effectively, one can take ownership of wellness, in a moment–one drop at a time. Explaining distillation and cold-press processes will come, soon. There is a standard and also ways essential oils could be manipulated in this process, also.